Mark Lockyer had a pretty public breakdown in 1995 while playing Mercutio at the Royal Shakespeare Company. And, as his one-man show reveals, his fumbled Queen Mab speech and disruptive antics at the Capulet ball was only the tip of the iceberg. After he meets the devil in a loud shirt on the banks of the river Avon, the actor’s tale of his deteriorating mental health takes us through infidelity, insolvency and institutions. On stage, a table is set up with an urn, teabags, and a tray of biscuits. We’re encouraged to help ourselves, and Lockyer makes himself a cup. 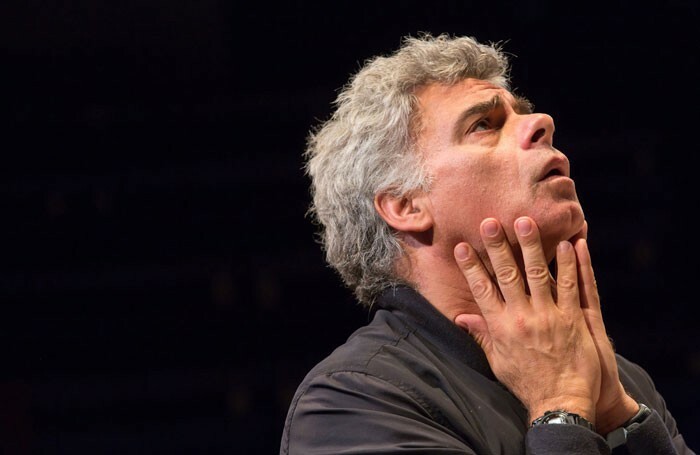 He says in his preamble that he wants to dissolve the distance between performer and audience, but Lockyer’s tale – touring medical centres as well as London’s Young Vic this month – is anything but artless. The tea and horseshoe seating is a precise aesthetic decision, suggesting the purgative confession of alcoholics anonymous or group therapy. Beguilingly apologising for a story that will move in circles, his narrative’s regular ups and downs in fact evocatively map on to the swings between mania and lucidity that characterise his illness. Lockyer’s delivery also repeatedly circles: building to a neurotic frenzy before dropping a stark and sober revelation or detail. It’s a formula that almost becomes predictable, but under Ramin Gray’s deft direction, Lockyer maintains both intrigue and empathy. Though the events recounted are more bitter than his slightly plummy voice and affable manner might suggest, they are sweetened by his frank confrontation with them, on his own terms.